How to Protect Your Small Business from Cyber Threats | Integrated Wealth Strategies, Inc. Many small-business owners may think their organizations hold little appeal to hackers due to their small size and limited scope. However, according to the Small Business Administration (SBA), this naiveté may actually make them ideal targets. Small businesses are keepers of employee and customer data, financial account information, and intellectual property. Their systems, if not adequately protected, may also inadvertently provide access to larger supplier networks. "Given their role in the nation's supply chain and economy, combined with fewer resources than their larger counterparts to secure their information, systems, and networks, small employers are an attractive target for cybercriminals," reports the SBA on its cybersecurity website. Consider the following tips compiled from information supplied by the SBA, the Federal Trade Commission (FTC), and the Federal Communications Commission (FCC). To protect your organization, you must first understand your vulnerabilities. How are your systems protected? Do you collect and store personal information of customers and employees, such as credit-card information, Social Security numbers, and birth dates? If so, how is this information stored and who may access it? Do you store it in multiple locations and formats? Are these files password protected and, if so, are you using multiple complex passwords? Do you have a Wi-Fi accessible to employees and customers? How do your vendors and other third-party service providers protect their information? You may want to engage a professional to help identify your risks. When monitoring your security, ensure you have firewall and encryption technology that protects your Internet connections and Wi-Fi networks. Make sure your business's computers have antivirus and anti-spyware software installed and updated automatically. Require employees and others who access your systems to use complex passwords that are changed regularly. Keep only personal data that you actually need and dispose of it securely as soon as it no longer serves a business purpose. Back up critical information and data on a regular basis, and store the backups securely offsite. Assign individual user accounts to employees and permit access to software and systems only as needed. Be especially cautious with laptops and company-assigned smartphones. Question third-party vendors to ensure that their security practices comply with your standards. If you have digital assets that you don't want to risk losing forever — including photos, videos, original recordings, financial documents, and other materials — you'll want to back them up regularly. And it's not just materials on your personal computer, but your mobile devices as well. Depending on how much you use your devices, you may want to back them up as frequently as every few days. A good rule to follow is the 3-2-1 rule. This rule helps reduce the risk that any one event — such as a fire, theft, or hack — will destroy or compromise both your primary data and all your backups. Evaluate the provider's reputation. Is the service well known, well tested, and well reviewed by information security specialists? Review the provider's service agreement and terms and conditions. Make sure you understand how your data will be protected and what recourse you have in the event of a breach or loss. Also understand what happens when you delete a file — will it be completely removed from all servers? In the event a government subpoena is issued, must the service provider hand over the data? 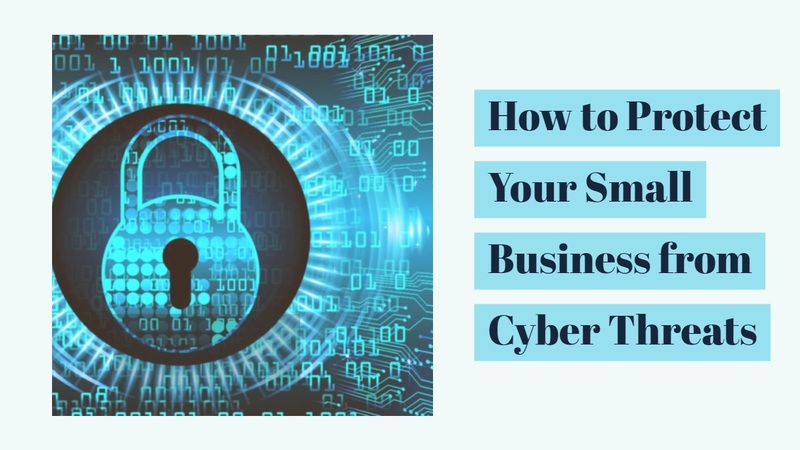 To help ensure that your employees are also maintaining sound cybersecurity practices, establish clear security policies and procedures and put them in writing. Cover such topics as handling sensitive or personal information, appropriate use of Internet and social media, and reporting vulnerabilities. Clearly spell out consequences for failing to follow the policies. Develop a mandatory employee training program on the importance of cybersecurity. Explain the basics of personal information, as well as what is and isn't acceptable to post on social media. Employees could unknowingly release information that could be used by competitors or, worse, by criminals. Ensure that employees understand the risks associated with phishing emails, as well as "social engineering" — manipulative tactics criminals use to trick employees into divulging confidential information. For more information, visit the SBA cybersecurity website.